The Underley Estate offers a wide variety of activities to keep you occupied during your stay with us. Kirkby Lonsdale Golf Club was built in 1990 and forms part of the Underley Estate. It is an 18 hole parkland course that stretches over 6,500 yards. 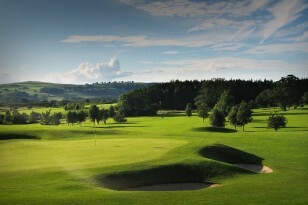 Guests of Underley Cottages can play the course at a preferential rate. It is a pay and play course, though at times it can be busy and booking is advised. Please contact us if you would like to book a tee time in advance. There are a number of walks throughout the Underley Estate, maps of which can be found in the cottages. There are a number of footpaths and bridleways that crisscross the open fields and woodland, as well as a number of private walks only available to our holiday cottage visitors. Whether you are a novice or a seasoned professional, the Underley Estate can offer you the chance to break a clay or two while staying in one of our cottages. 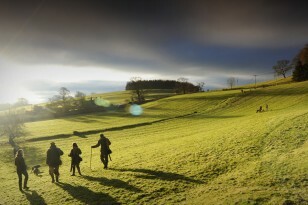 The rolling countryside of the Lake District lends itself perfectly to clay pigeon shooting, and with the stunning backdrop of The River Lune, it is a great way to spend a couple of hours. Prices can be tailored to suit your requirements. Please contact us for further details. 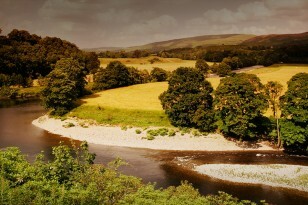 There are opportunities to try fly fishing on private sections of The River Lune, renowned for its sea trout during the summer and salmon in September and October. The Estate has approximately 4 miles of private water, including pools such as the Catamaran, Maggie Claphams and Broken Banks. 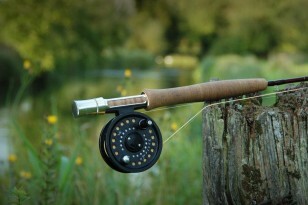 Fishing tackle can be hired during your stay. Salmon flies can also be tied to order – to use on the river, as a gift, or simply to replenish your fly box. Fishing is by prior arrangement, so please contact us for further details. For further information regarding any of the above activities please contact us.